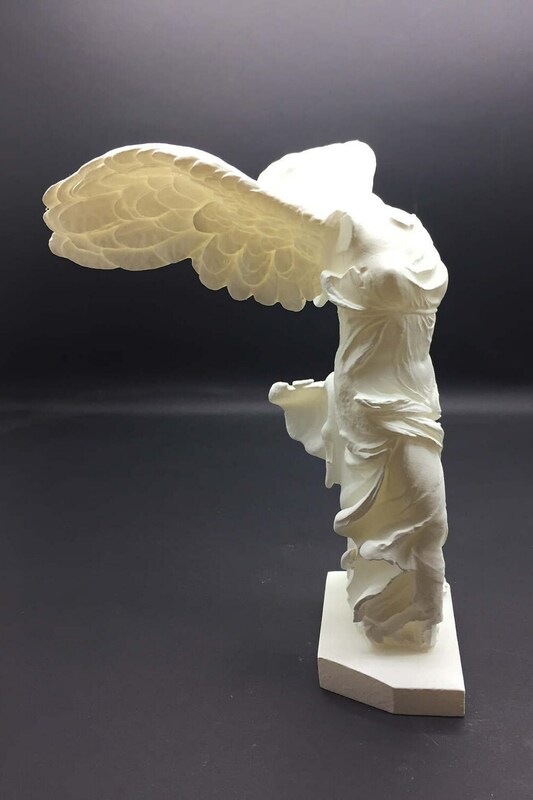 This 3D printed replica of Winged Victory of Samothrace (Nike of Samothrace) from the Louvre. 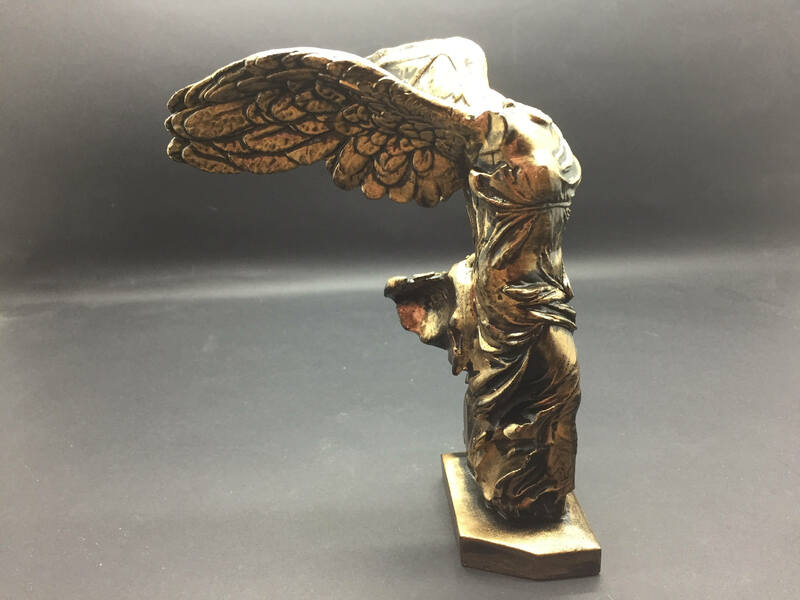 The Winged Victory of Samothrace, also called the Nike of Samothrace, is a marble Hellenistic sculpture of Nike (the Greek goddess of victory), that was created about the 2nd century BC. Since 1884, it has been prominently displayed at the Louvre and is one of the most celebrated sculptures in the world. H.W. Janson described it as "the greatest masterpiece of Hellenistic sculpture", and it is one of a small number of major Hellenistic statues surviving in the original, rather than Roman copies. 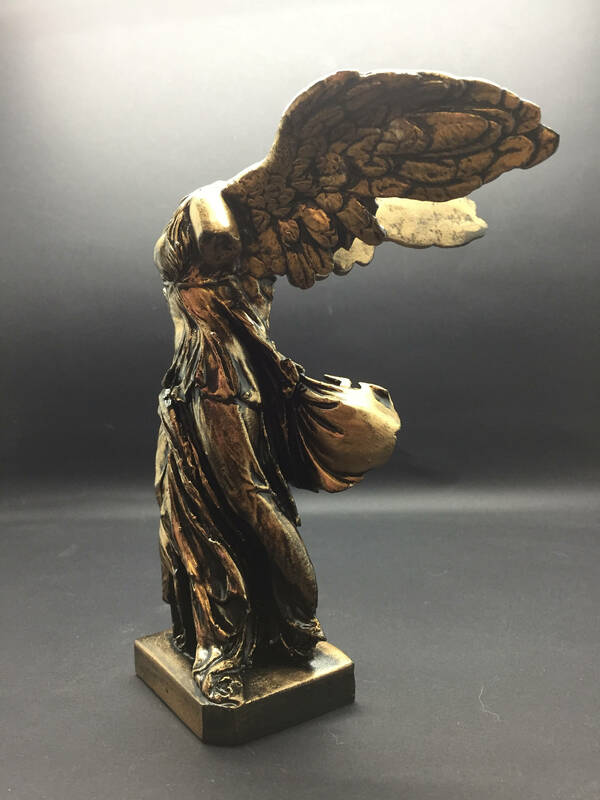 The context of the Winged Victory of Samothrace, discovered in 1863, is controversial, with proposals ranging from the Battle of Salamis in 306 BC to the Battle of Actium in 31 BC as the event being celebrated. Datings based on stylistic evaluation have been equally variable, ranging across the same three centuries, but perhaps tending to an earlier date. For much of the 20th century, the prevailing theory, based on the works of Hermann Thiersch and Karl Lehmann, considered it a Rhodian monument dedicated following the victories at Side and Cape Myonessos in 190 BC, and suggested that it might have been carved by the Rhodian sculptor Pythocritus. 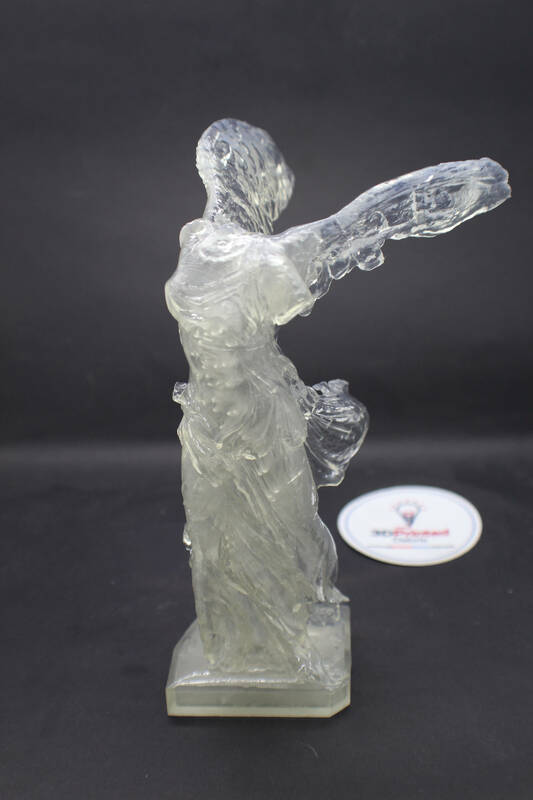 However, in recent years, the reconstructions of the monument proposed by Lehmann have been shown to be false (the remains of the surrounding space that housed the Victory belong to the Roman period), and the question of why the statue was dedicated on Samothrace, which at the time was a Macedonian possession, remains unanswered. She stands 6 inches tall, about 4 inches wide, and 6 inches deep. If you'd like a larger model hit the "request custom order" and I'll work up a quote to your specifications. 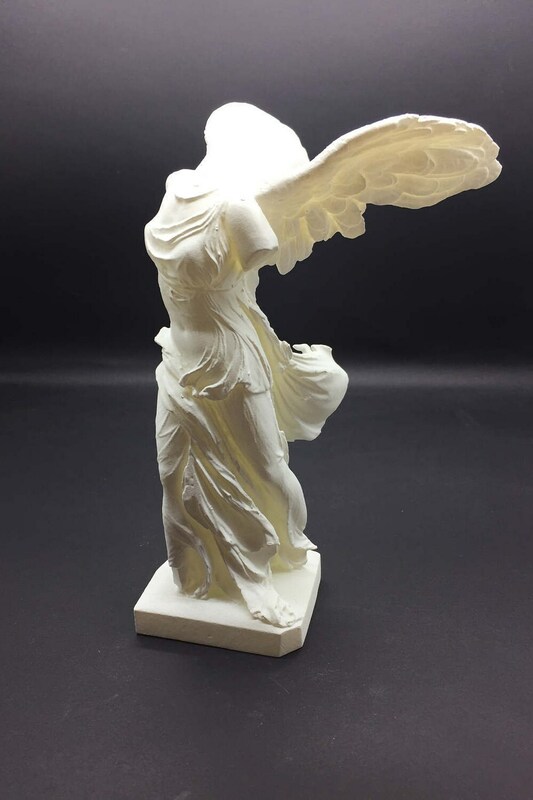 This is printed on a laser resin printer, and is by far one of the most detailed prints I offer to date. 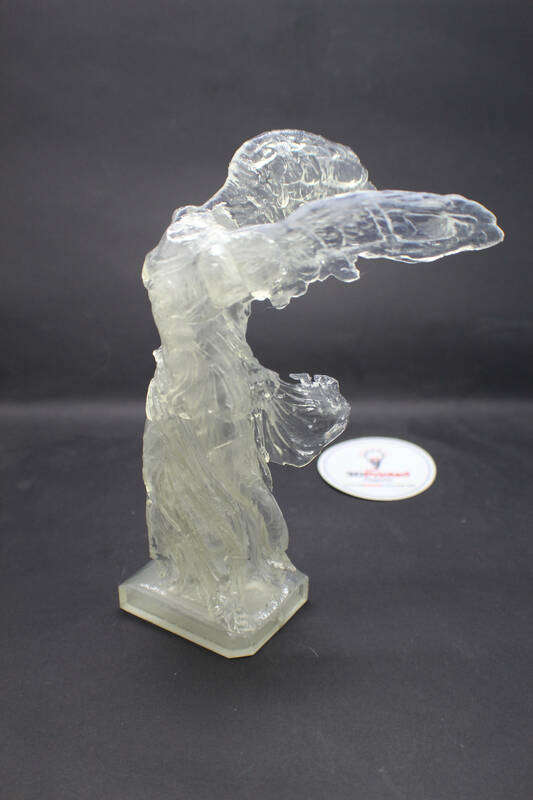 Unfortunately, the resin the printer uses is only available in White, Black, Grey, and Clear. 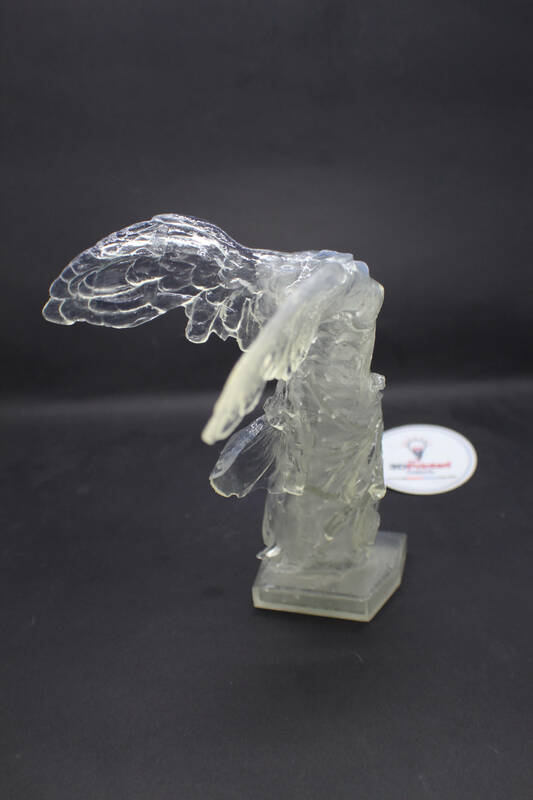 This is a hollow model, and will likely shatter if dropped on a hard surface. Attribution: This is a derivative of Thingiverse.com thing #196038, created by CosmoWenman. Please note, this work is in no way affiliated with the Louvre . 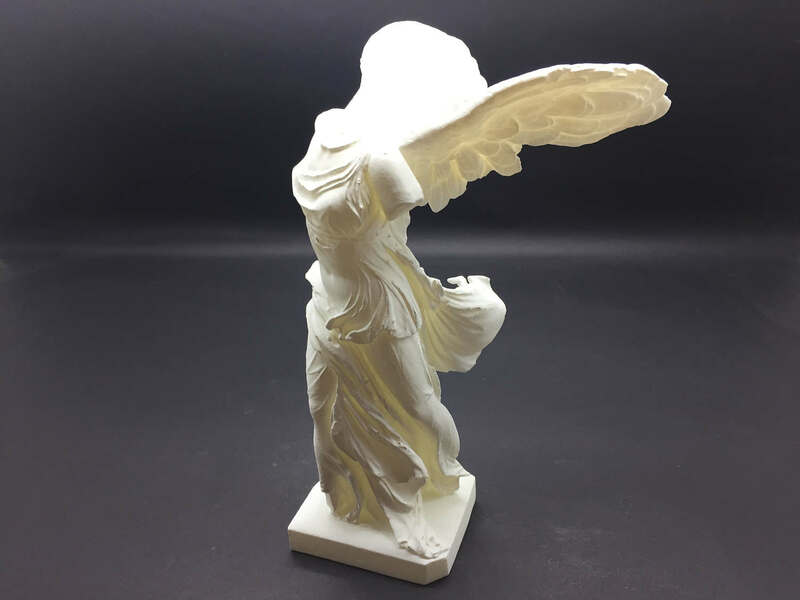 You are paying for the 3D printing service I provide in duplicating a model found on thingiverse and removing the support material along with cleanup of the model. This item was absolutely perfect. I gave it to a friend who’s an art history major and she is in love with it. She could tell that it was 3D printed and she was so impressed. Very nice item. Pretty true to description. The size of the statue is great. The only disappointment is the weight of the resin. It’s very light and not level when standing so we have to be extra careful where this is displayed. The detail is beautiful and coloration as well. Just wished it had a bit more weight to it. But overall lovely product.